When Malaysia Airlines Flight 370 seemingly disappeared from the face of the earth back in March 2014, it was not only one of aviation’s great tragedies but one of its great mysteries. How could a huge passenger plane just vanish from sight like that? It was a full two years before debris from the plane regularly began to wash up in far-off France, South Africa, Madagascar, and Australia. 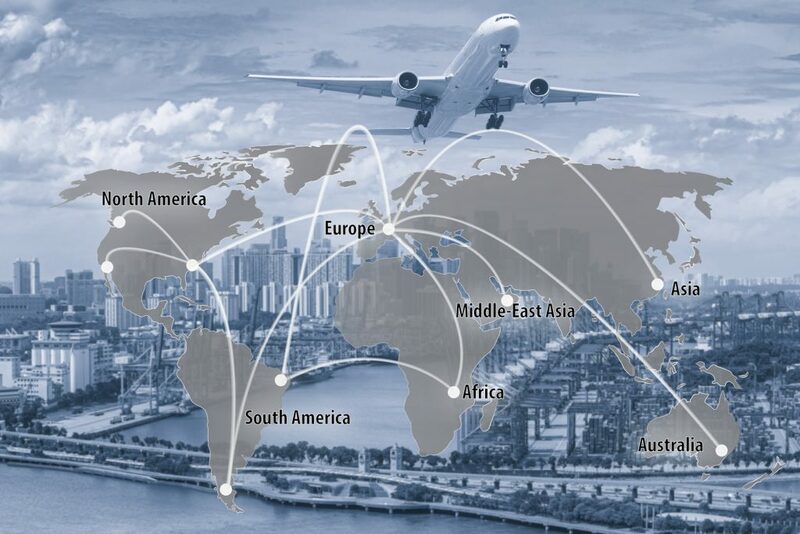 The International Air Transport Association and the International Civil Aviation Organization have since begun working on improving global flight tracking for the 21st century. And with 8,000 to 13,000 planes in the air around the world as you’re reading this, it’s vitally important. Here are five quick facts about global flight tracking, and why we’ll all need it going forward. Believe it or not, much of today’s flight tracking is done with technology from World War II — good old-fashioned radar, which bounces signals off planes to get their location. Since then, transponders have been developed to provide flight data back to air-traffic controllers on the ground. The combination works pretty well… until the flight heads out to sea. At that point, the tower communicates directly with the plane by radio. If that communication stops, the plane disappears. The arrival of GPS, or Global Positioning Systems, has been a boon to airline pilots when trying to determine their own position. But it can’t tell the tower where the plane is. Imagine you’re driving cross-country. Your GPS system is an internal map: it can tell you where you are and where you’re going, but it won’t tell your loved ones back home. And even when used that way, GPS on a plane can be easily dismantled or turned off. And even when used that way, GPS on a plane can be easily dismantled or turned off. Due in part to tragedies like Malaysia Airlines’ MH370 and Air France Flight 447, which also took two years to locate after going down in 2009, the ICAO has mandated that every plane be tracked constantly. It’s given all airlines until November 2018 to start tracking them every 15 minutes, and until the first day of 2021 to track them once a minute! With the advent of the internet, disaster crowdsourcing and these high-profile crashes, several companies have developed apps that use several of these tracking systems to locate planes immediately. Even better, they can keep track of airport info, so you can keep up on unforeseen delays before, during, and after fights, as well as wait times for lines. They also keep track of cargo planes if you’ve got something on the move! The existing ADS-B (Automatic Dependent Surveillance Broadcast) technology uses a form of GPS that connects with ground sources. As more of these terminals are added, coverage increases. The goal is to use ADS-B, GPS, transponders and flight data to create a worldwide net that can track the location, speed, and altitude of any plane no matter where it is. Being able to follow your loved ones as they cruise over an increasingly unstable world is a big relief. Being able to plan your own trip down to the minute and adjust for delays isn’t bad either! Global flight tracking, whether by app or website or both, is the future of staying safe in the not-so-friendly skies.